I’ve been a user of KATE Cosmetics for a long time, and I remember my first foray into the world of liquid eyeliners: The very first liquid eyeliner I ever purchased was actually KATE’s Super Sharp Liner! KATE Cosmetics has sent me some products from their Fall/Winter 2012 collection, and I gotta say, I am loving so many of them! The most important step in achieving a flawless look with makeup has got to be the foundation. 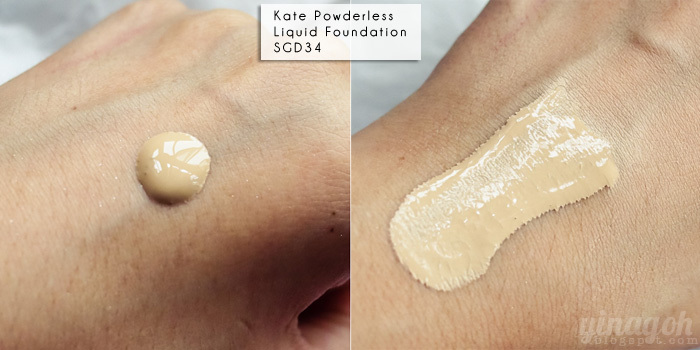 KATE’s Powderless Liquid Foundation is named as such due to how the liquid foundation actually turns into a matte powdery finish after 15 seconds, giving you an instantly smooth, shine-free complexion! 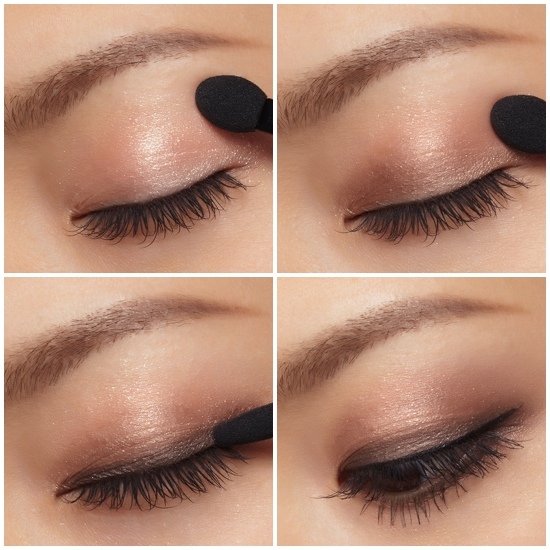 The eyeshadow is extremely pigmented, and if you love shimmery and frosty eyeshadows like I do, you’d definitely love the KATE Deep Shiny Eyes. Another product that I am loving to bits from the collection, and have been using on a regular basis! KATE Slim Create Powder is an extremely handy contouring powder that contains a white powder (for highlighting) and a brown powder (for shading)! A visual within the compact itself shows you where to use the highlighting powder and where to use the shading powder! The compact comes with its own brush as well that I find quite easy to use, especially when contouring the nose/eye areas. Very convenient for carrying around for quick makeup on-the-go! Last but not least, the KATE Super Sharp Liner, in a limited edition Night Red color! This eyeliner boosts to be the thinnest and sharpest on the Japanese market, at an incredibly thin 0.03mm! The Night Red shade is actually surprisingly wearable, and looks almost black, but less stark. As with my previous experience with KATE’s Super Sharp Liners, it’s very easy to control and use, even for beginners. Here’s how the eyeliner looks when swatched. Loving the final look created with KATE Cosmetics Fall/Winter 2012 collection! 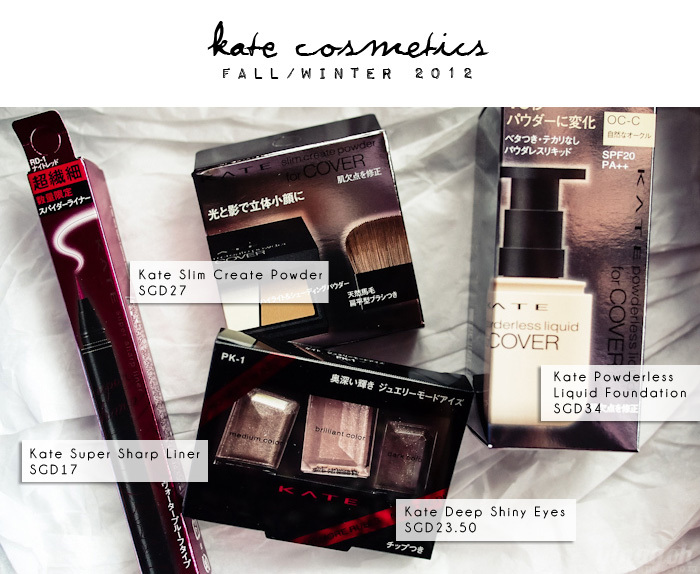 For more pictures/swatches/reviews of KATE’s Fall/Winter 2012 collection, do check out Evonne and Jayne’s entries, I love how the products look on them! Have a fabulous weekend everyone, and I’ll be back with more updates real soon! Previous Post Braces: The Journey!